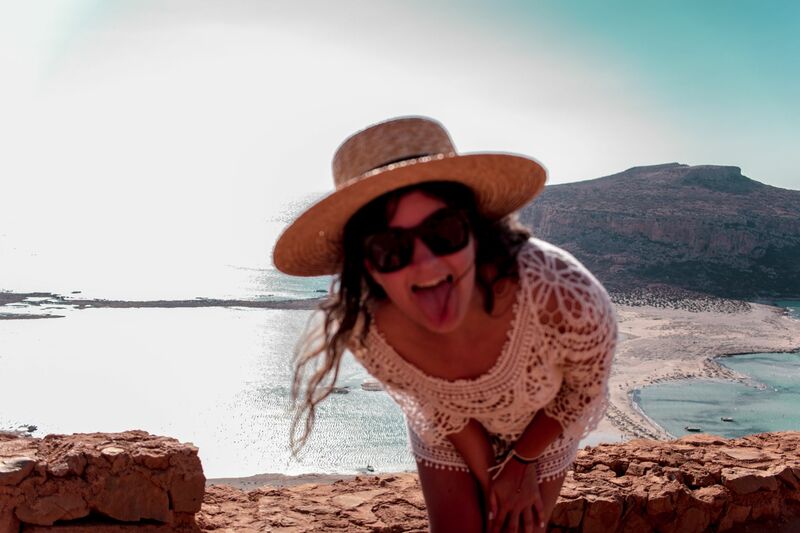 It's been almost a year since I fell in love with the beautiful island of Crete. 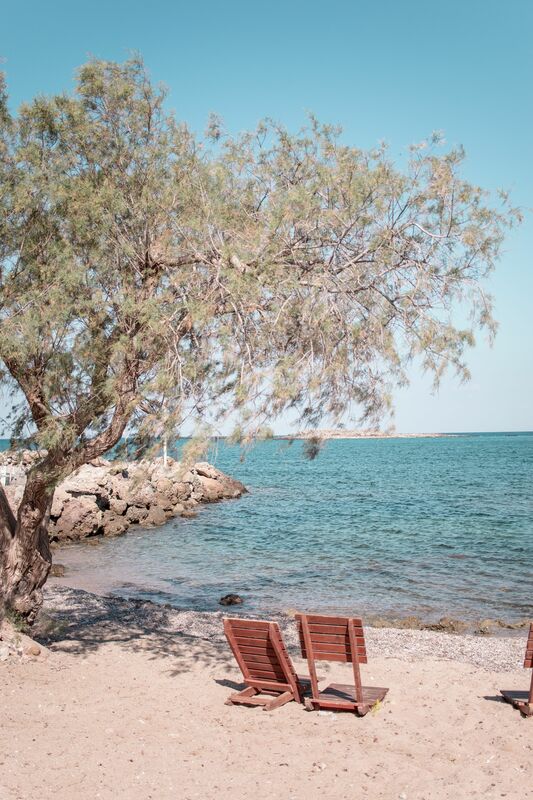 The birthplace of the Minoans, the first advanced society on European soil, this Aegean gem is rich in not only history but natural splendour. From being a child, I've always had something for Greece. The climate, the food, the beaches. 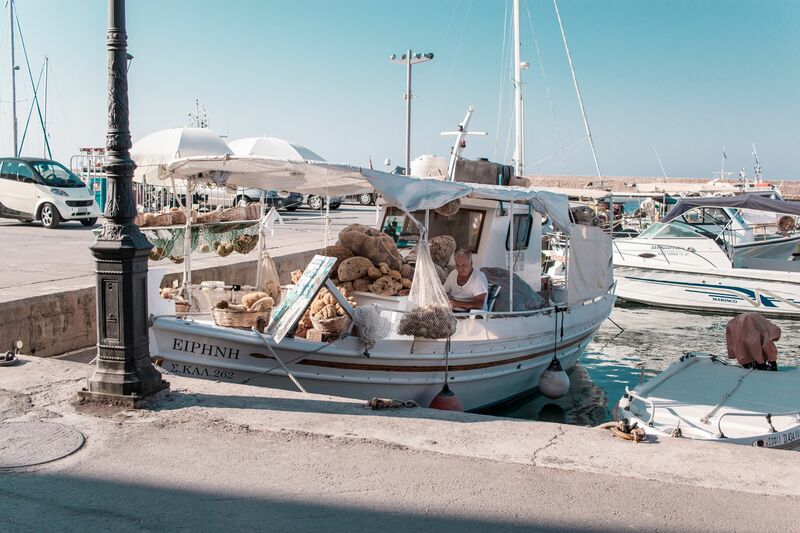 I spent much of my childhood visiting many of the hundreds of islands across the Med. Each time falling in love with a much simpler, slower way of life. And Crete was no exception. 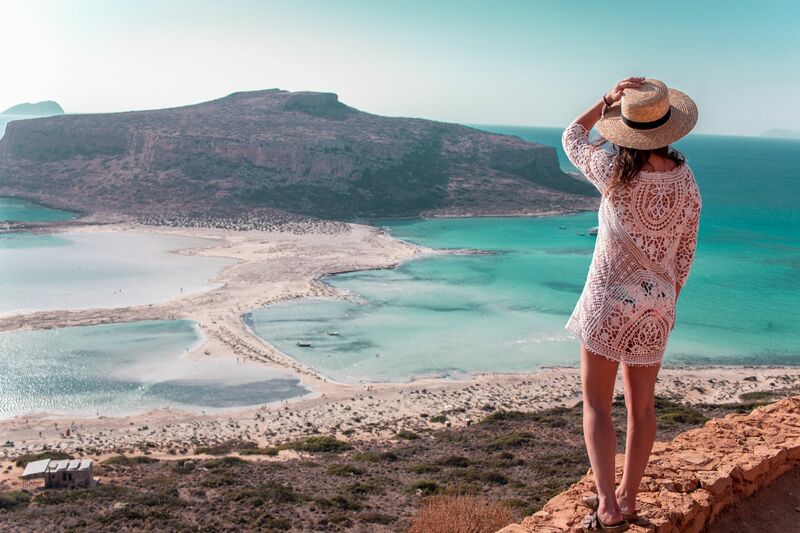 From the crystal blue waters of Balos Lagoon to the pink sands of Elafonisi, I'm sure it's not hard to see why. 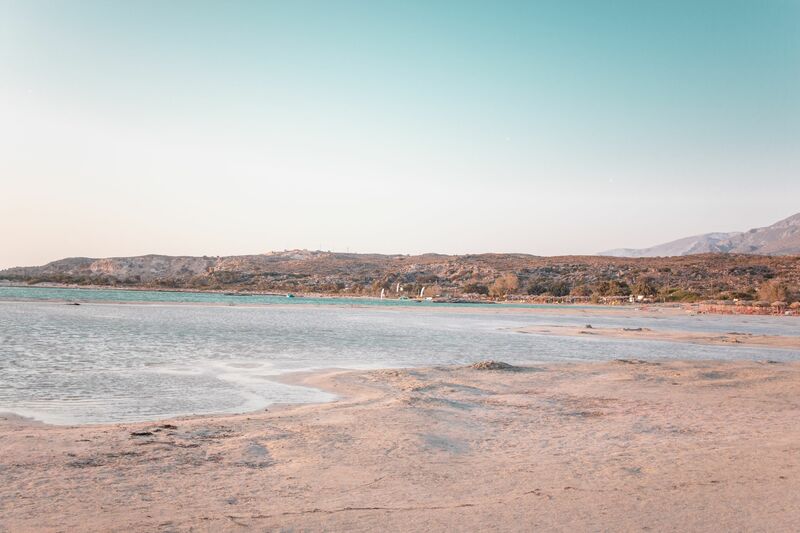 Despite the fact it's taken me nearly a year, (and I guess better late than never), I wanted to share four of my favourite places to visit in Crete. And why, with fairly cheap flights from most UK airports, Greek's largest island is such a beguiling place to visit. With warm temperatures until around November, when things drop to 17 degrees centigrade, it's a great place for late season sun. 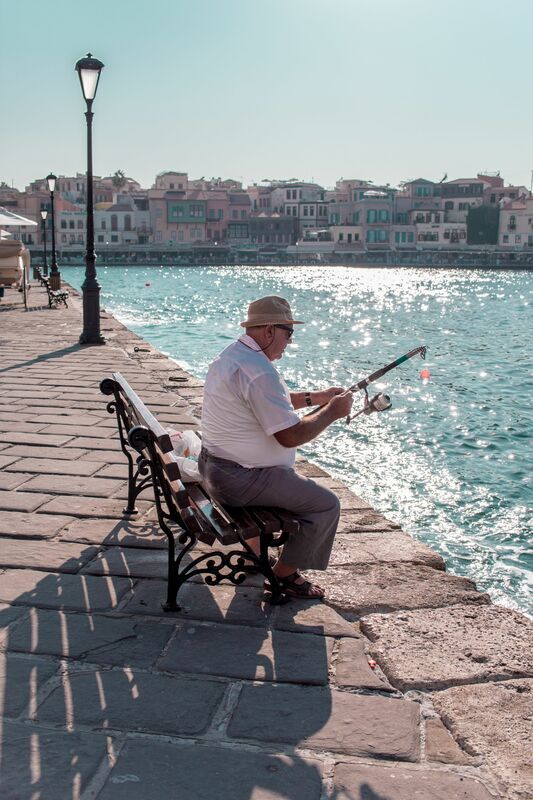 I visited in mid September, just as the high summer heat was starting to drop to the mid twenties and the island's tourist population starts to dip, making towns like Chania more bearable to visit with less of an intense heat or dense volume of people wandering through the streets. 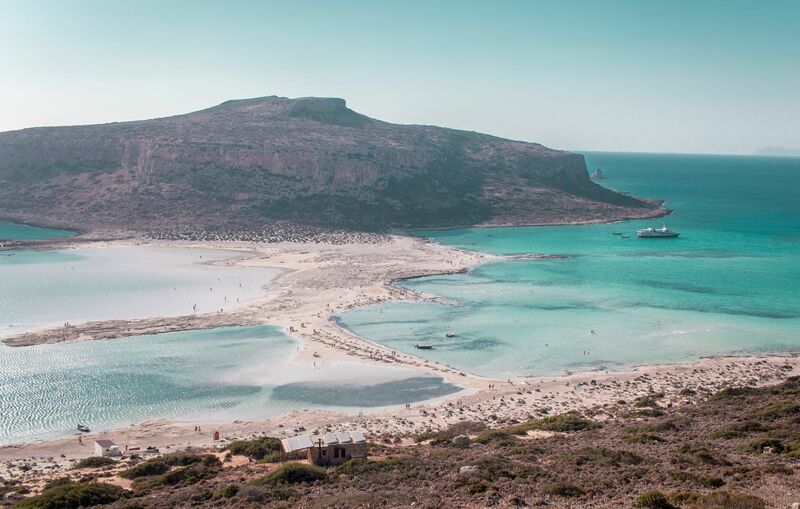 If Crete has a poster boy beach, it's Balos. The clear, turquoise water and the white sand beach arches between the lagoon and the bay of Balos, opening up to the ocean. As soon as I read about its almost otherworldly colours in my Lonely Planet, I knew we had to visit. My advice? Skip the ferry ride and take the dirt track from Kissamoss and hike down the cliff to the beach. Distance wise, it's not really that far from Kissamos, but the dirt road that snakes along the edge of the cliff is pretty rugged and its numerous boulders and potholes mean that it needs to be navigated carefully. It took us about an hour, bumbling along the track trying our hardest to avoid obstacles (including bemused goats and other drivers), to reach the top of the cliff that descends onto the beach and lagoon. It's a tedious drive but completely worth it to see that view of the beach for the first time. Visit in the late afternoon when temperatures start to cool, (making the climb easier), and enjoy the €7 sun beds for free. You'll find less hoards of tourists, and the cruise ships will have made their visit for the day, making the beach feel more secluded. It's worth spending a few hours relaxing before starting the hike back up the cliff and dawdling until sunset. That way, when you reach the top, you'll have the perfect view for when the sun dips below the horizon, flooding the sky with the most incredible colours. 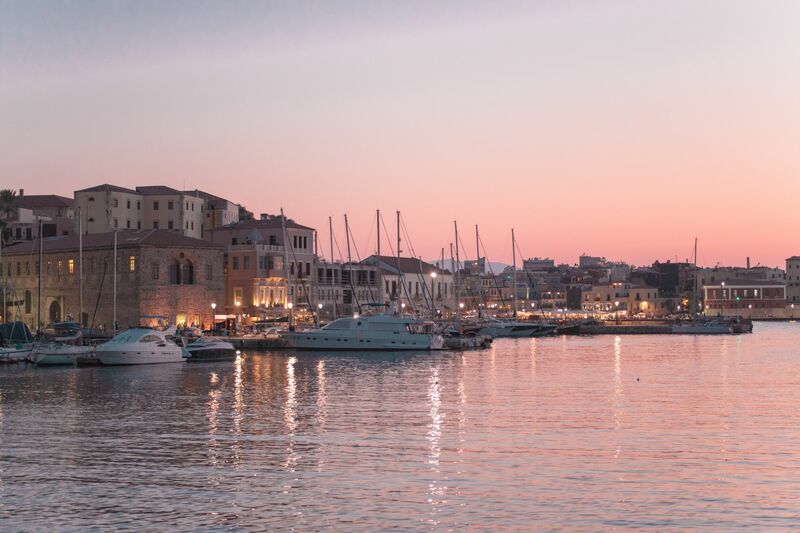 With its Venetian architecture, winding streets and picturesque harbour, it's easy to see how Chania can steal your heart. Having only intended to visit for the day and spend a few hours walking around, we ended up falling in love with the place almost immediately. And after the first hour or so, having enjoyed a lunch of freshly caught fish in the harbour, we decided to find a last minute hotel room and spend the night there. The old town is where we spent most of our time, meandering through the streets and discovering little tavernas. Steer clear of the tourist traps with staff who try to pull you in from the harbour and head to the places full of Greeks. 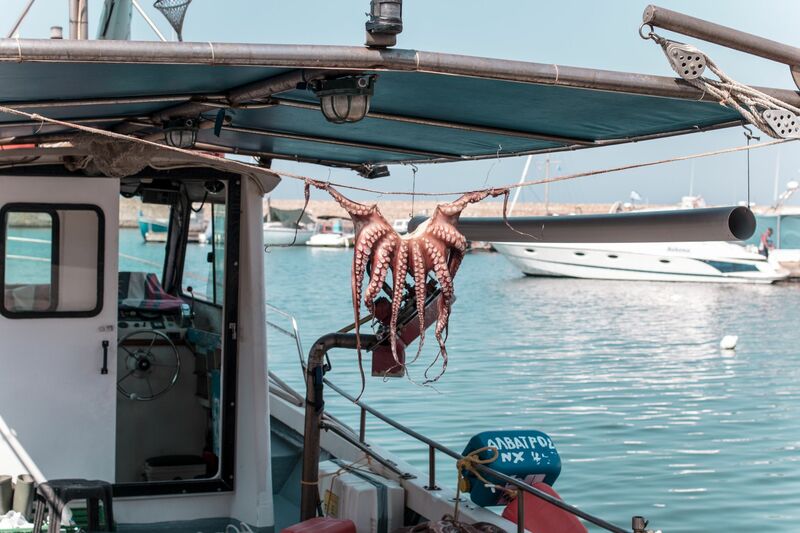 We settled on a ramshackle little place right on the edge of the harbour, ran by a local fisherman who showed us what he had caught that morning before serving it up to us. 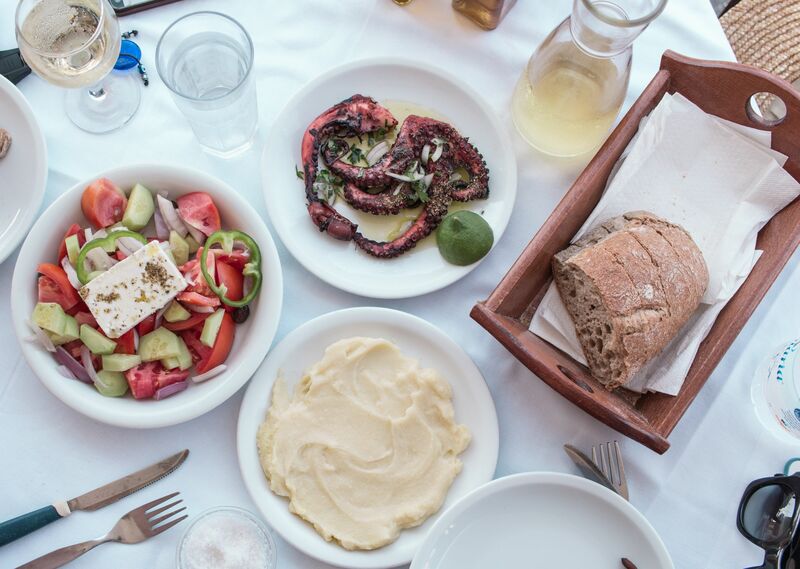 Or if you're looking for a lighter bite to eat, opt for a gyros and take a little stroll along the harbour, keeping your eyes peeled for visiting turtles. 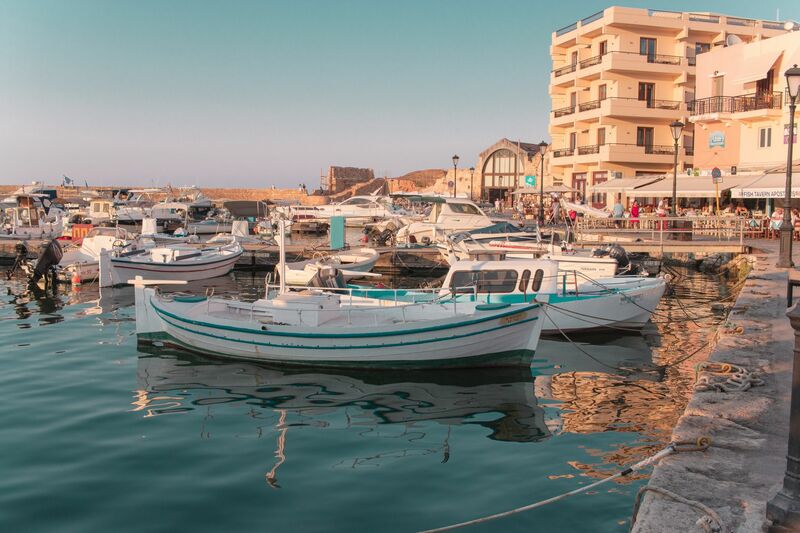 If you're looking for culture and an idyllic postcard town, Crete's second largest, is definitely the place. It's here you'll find more nightlife, although don't expect rowdy clubs or bawdy Brits abroad. 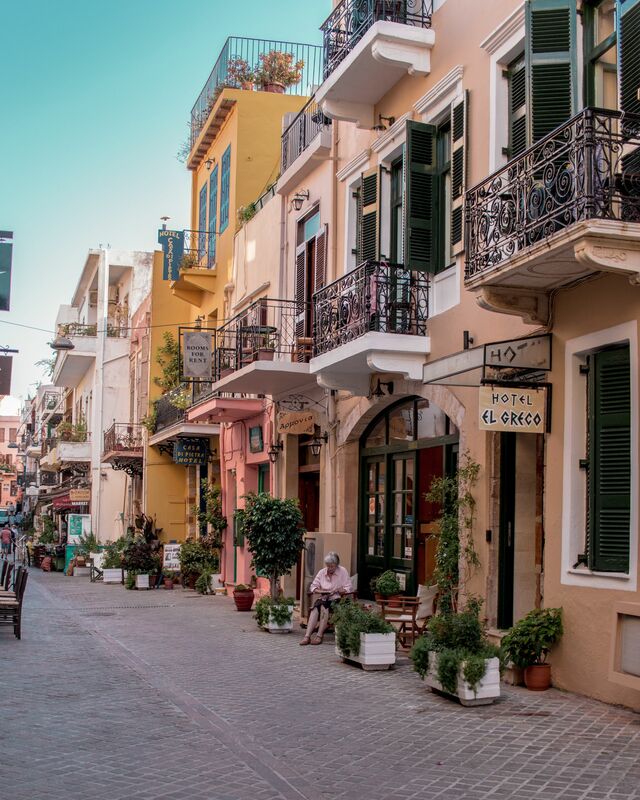 Chania offers a more relaxed, chic sort of scene with trendy wine bars and great traditional tavernas offering live music in a garden style setting right in the heart of the old town. 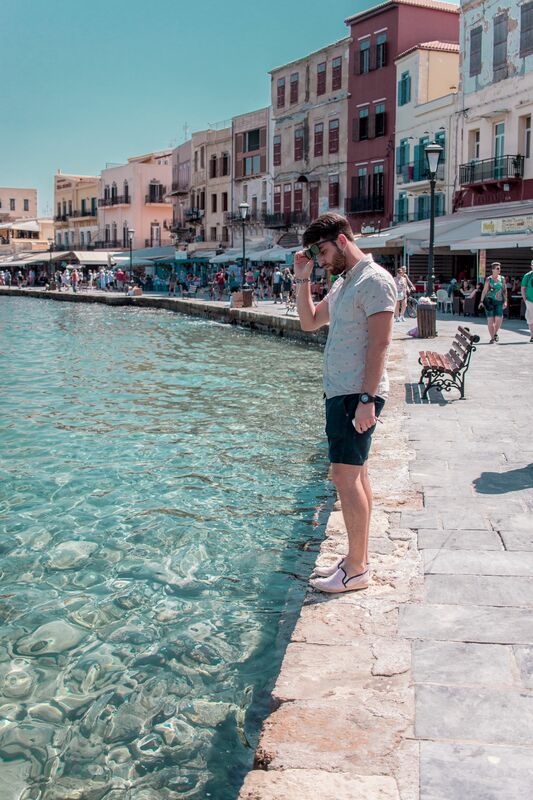 Seeping in history and characterised by its patchwork of Venetian, Turkish and Greek architecture, it was definitely my favourite place in Crete and I'm already eagerly anticipating my next visit! Phalasarna, or Falasarna, is one of those blink and you'll miss it kind of places. 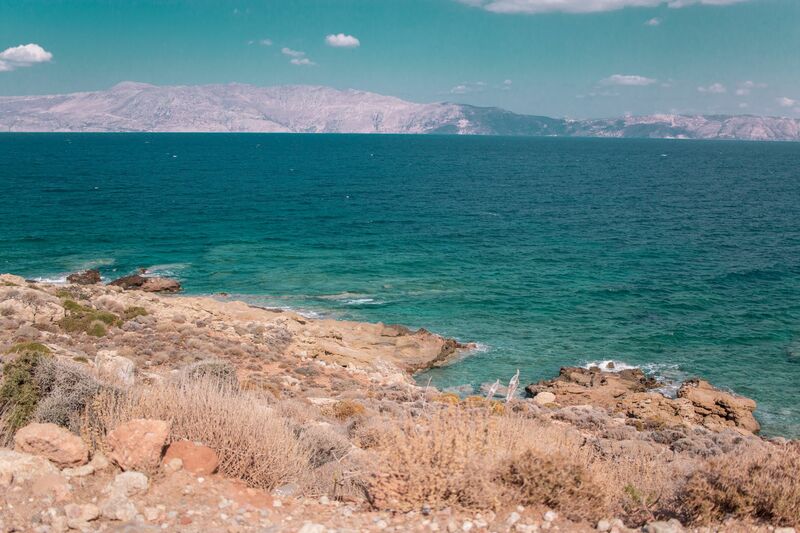 We found it by sticking a pin in the map on Crete's beautiful east coast. Wanting to shy away from the usual tourist resorts and discover something of an untouched cove of the island, it seemed like the perfect base. 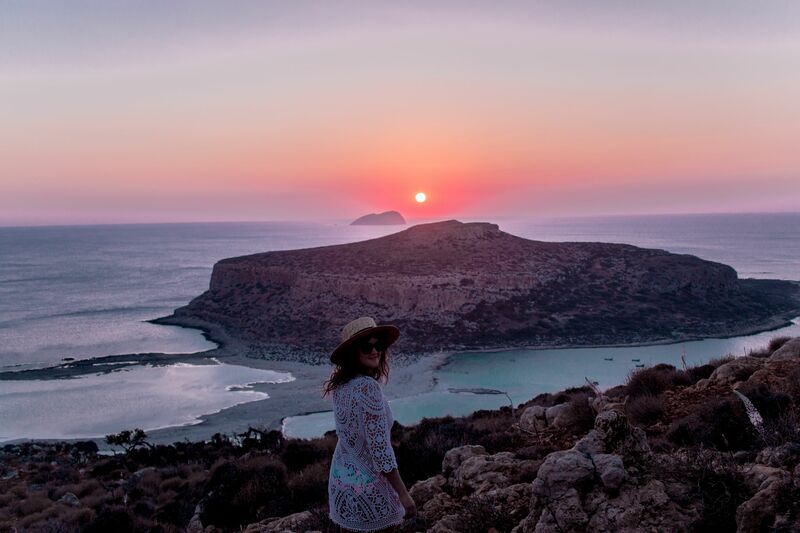 Plus with a nearish proximity to the likes of Balos, Elafonisi and Chania, it felt like the place where we'd get the best of all worlds. Definitely of course, the best of the beaches. Finding a little Airbnb surrounded by nothing but olive groves, we arrived in a little slice of paradise. Albeit a slice of paradise not that convenient a place to get to without a car. A short drive though and we were at Phalasarna's main beaches, with pale sandy swathes, bright blue waters and rocky coves hugging the shore. 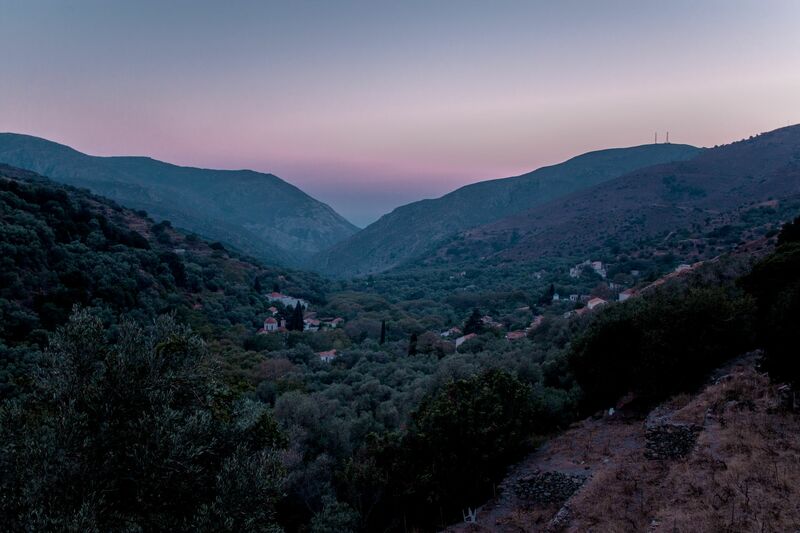 With a handful of great tavernas, it's a sleepy place with not a lot to do other than relax. The main beach isn't quite as spectacular as the picturesque Elafonisi, but feels a lot less crowded. And with a great breeze, like Elafonisi, it's a windsurfer's dream! 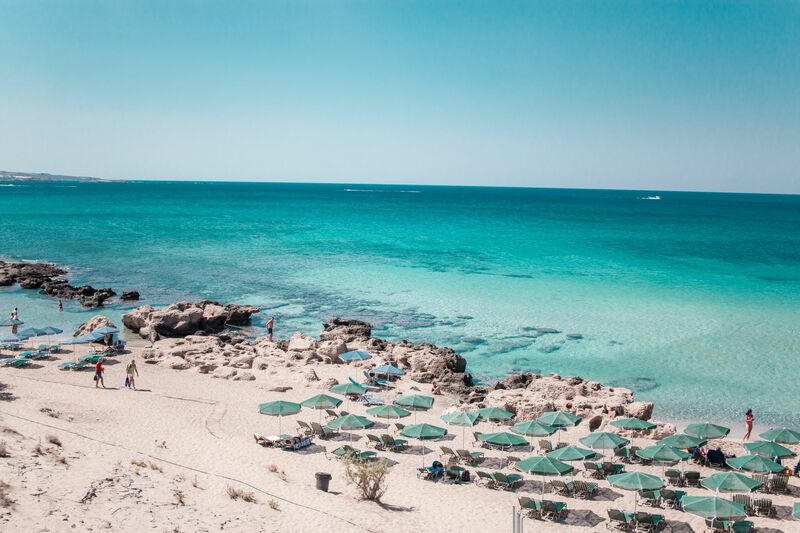 Looking for a quieter, more sheltered spot, we headed to a smaller cove a little way from the main stretch of beach where you'll find a few handfuls of sun beds and a chilled beach bar called Orange Blue. 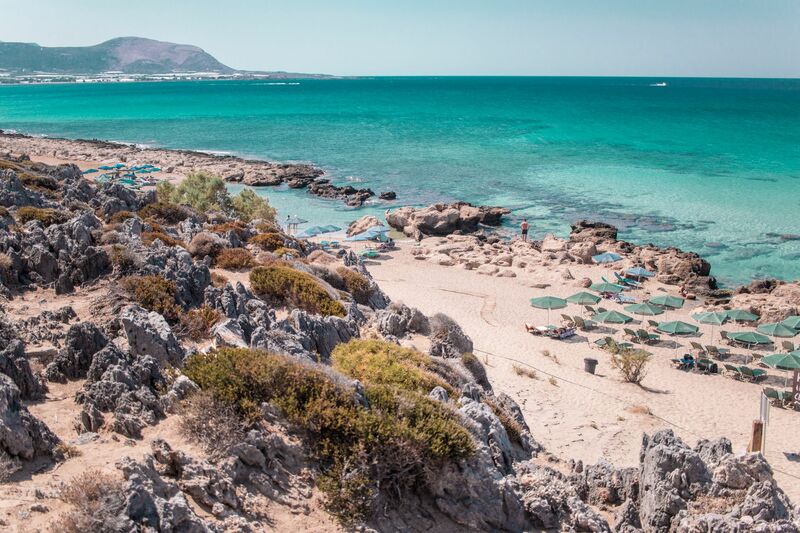 If you're looking for more excitement and nightlife, then Phalasarna really isn't your spot. 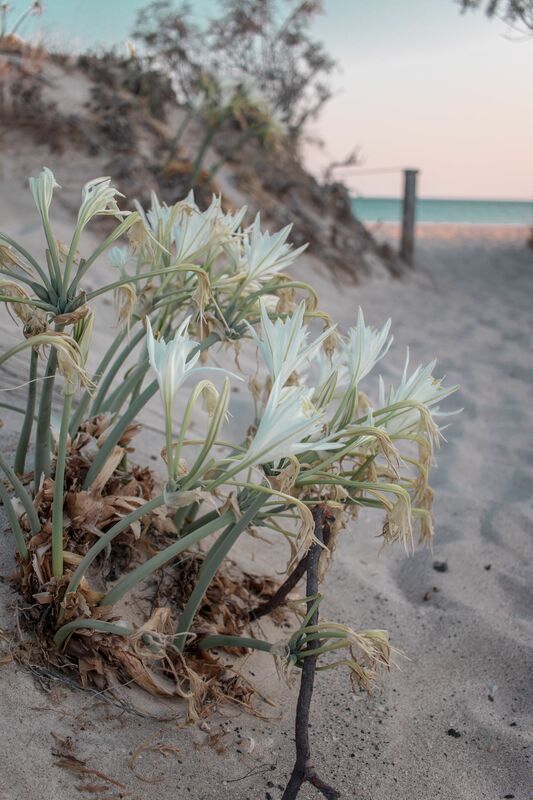 The pace is slow and life is quieter but the beautiful and less crowded beaches make it a paradise worth visiting. Despite its uncomfortable crowds of visitors, Elafonisi's beauty is still really something special. Pink sands, sweeping dunes and shimmering turquoise waters characterise the large, remote beach. Tucked in Crete's most south west, the entire area is protected by the European Union's environmental programme and signs dotted along the beach warn against taking any of the unique pink sand home as a souvenir. It's a popular spot for beach goers and water sports alike with a nice breeze serving to attract many windsurfers. 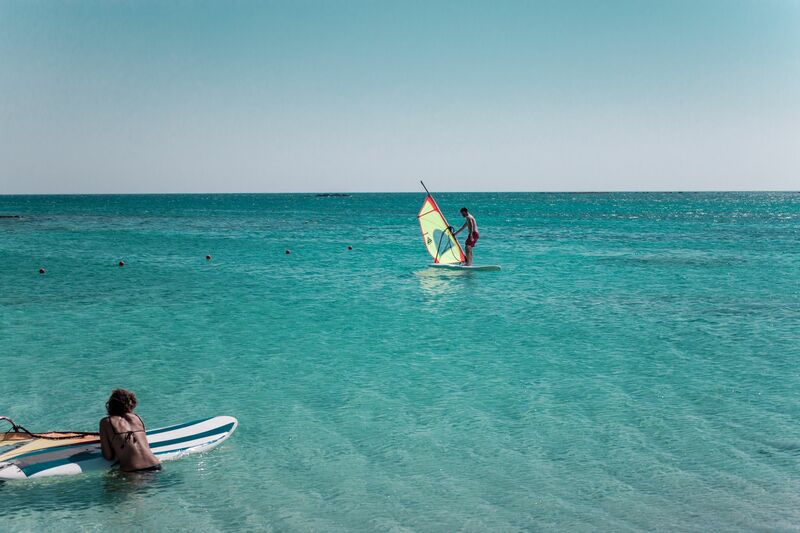 The instructors, who spread their time between Elafonisi and Phalasarna, are entertaining and enthusiastic, and no prior experience is required. We tried our hand at the elegant looking sport, although my aptitude for it floundered somewhere during my second lesson and I opted for an afternoon of relaxing in the sunshine instead. 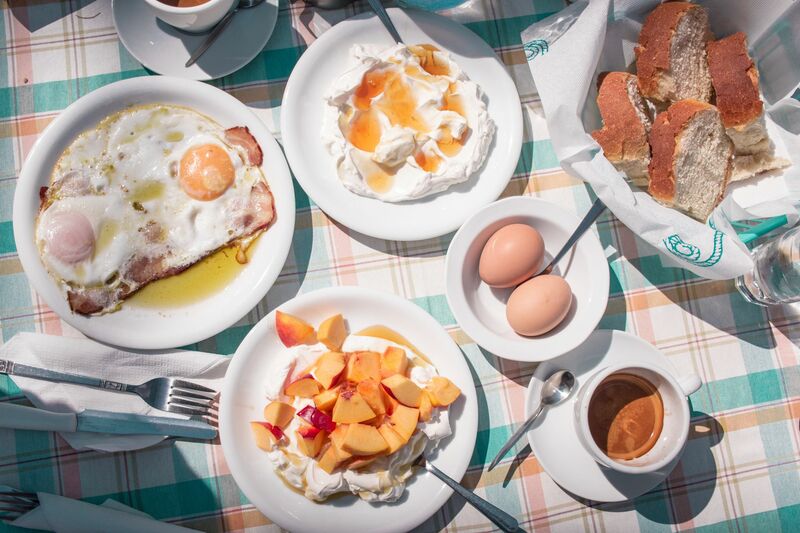 Despite feeling pretty remote from the rest of the island, Elafonisi is worth the visit. But don't expect to find it undiscovered. Despite it's pretty basic infrastructure, the beach is teeming with tourists throughout the day. So you'll need to arrive early in the morning or late in the afternoon to space on the crowded beach. Visit later in the afternoon and golden hour transforms the pink sands to a lovely golden rose hue as the sun begins to set. It's a much nicer time of day to explore the sand dunes lining the beach and the smaller coves away from the main stretch of sand, when you'll be able to get some shots of the beach empty.